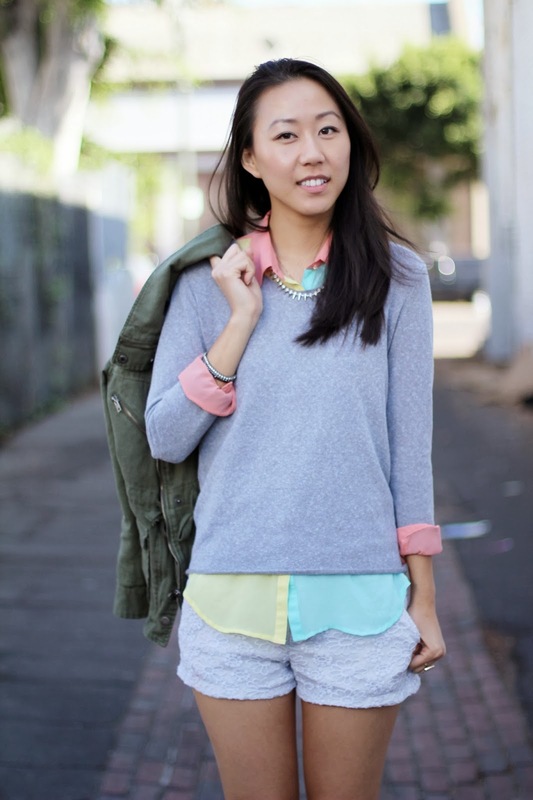 'Tis the season to layer it up! Wore a bright multi-colored top that I did not get a chance to wear for the bright summer, so I decided to bring it out this fall! 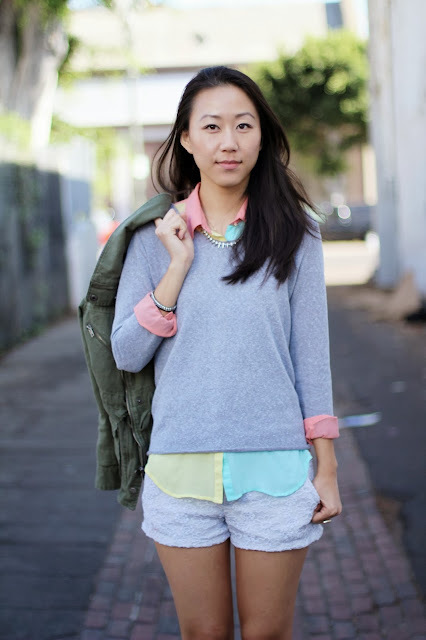 I muted the colors with this white lace overlay short and grey sweater. Kept the entire ensemble casual with these brown booties and my green jacket. Cracking up for no apparent reason..